The company was based in Kettering, and opened a branch in Rushden around 1906.
with the other box factory in Rushden, H W Chapman Ltd. 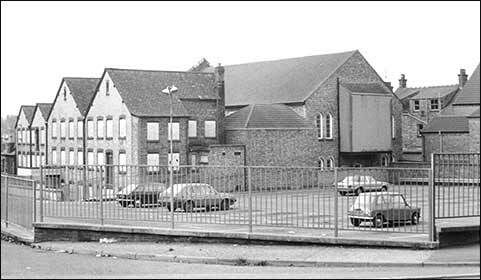 The building was demolished in about 1988. 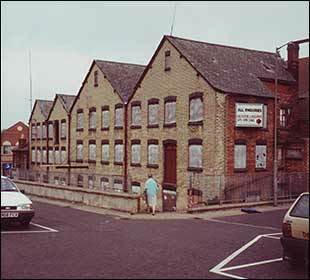 The Seddons and Arlidge factory in 1984, with its windows boarded up. 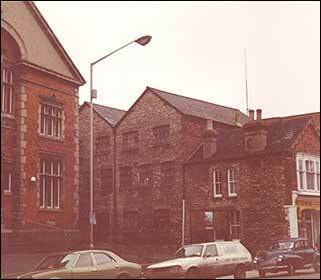 It stood behind the High Street close to the Independent Wesleyan Church. 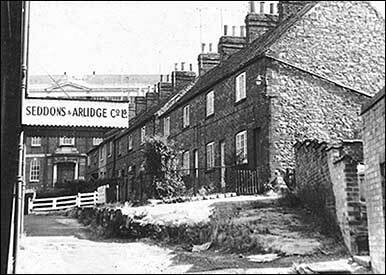 The car park is where Orchard Place cottages once stood. Overturned VehicleThrough a horse drawing a van belonging to Messrs. Seddons, Arlidge, and Co. Ltd., taking fright at a motor, an accident occurred outside Mr. G. W. Battersby’s shop on Tuesday. A trolley, the property of Mr. W. Hector, was passing the van when the sound of a motor frightened Messrs. Seddon’s horse, driven by a young man named Stevens. The horse became unmanageable and the wheels of the van and trolley caught, overturning the latter. The driver, Mr. W. Plummer, of Higham Ferrers, was thrown under his trolley and suffered some nasty cuts. The trolley was righted fortunately without further damage. London was visited by trip-train by the employees of Messrs. Seddon and Arlidge, cardboard box makers, on Saturday. Having arrived in the City by an early train, the company divided into little groups, visiting the better-known places of interest. The morning showers did not spoil the enjoyment, and the weather was fine in the afternoon. Rushden was reached about 11p.m., after about 15 hours' absence. Box Factory OutingThirty-five employees of the Rushden branch of Messrs. Seddon and Arlidge, Ltd, cardboard box makers, joined 120 others from Kettering and Rothwell branches on the firm’s annual outing on Saturday. The party journeyed by charabancs to Clacton-on-sea, where a pleasurable time was spent. In 1953 Seddons & Arlidge filled in a Factories Act 1937 form regarding Permissible Hours of Working apart from “Overtime”. It was to be posted at the principal entrance of the factory, or in such parts as the an inspector may direct. Monday to Friday employees were to work from 7.30a.m. until 6p.m., with a rest period from 12 noon till 1p.m. The Public Clock by which periods of employments and intervals are regulated  The Post Office. If you have any information or catalogues that we could copy, or memories of working there, please contact us.